Now that Easters over, and I've eaten just about all the chocolate I could eat, it's time for me to get back into exercising. I've gotten off track (for longer than I'd care to admit) when it comes to fitness, but there was a time when I would exercise and go to the gym a lot. I want to make sure my gym bag is stocked with my favorite work out gear to make it easier for me to enjoy starting up again. 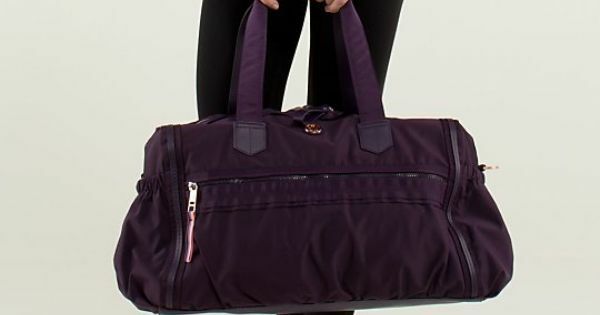 I got this Lululemon bag for Christmas a few years ago and I fell in love with it immediately. 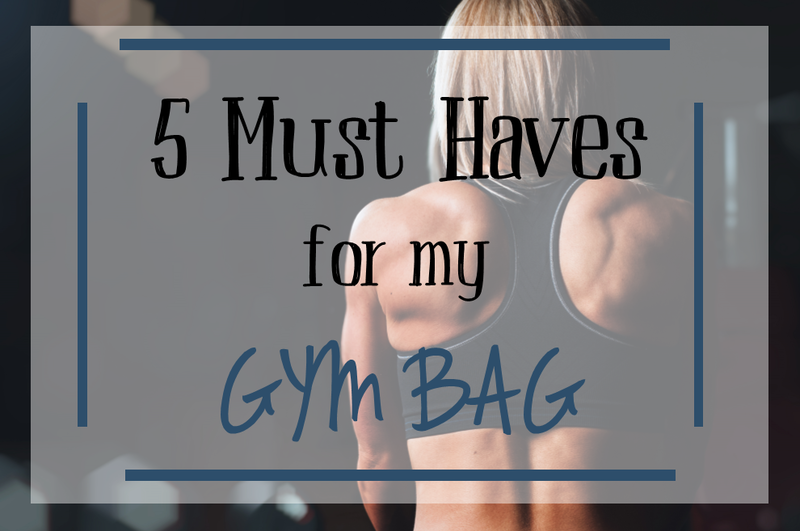 I own a few other bags from Lululemon as well, and I love them all. I used to think it was ridiculous how expensive these bags are, but they really are great. They have pockets for EVERYTHING and will probably last me a lifetime!! LOVE LOVE LOVE! I've been blessed with a larger chest. 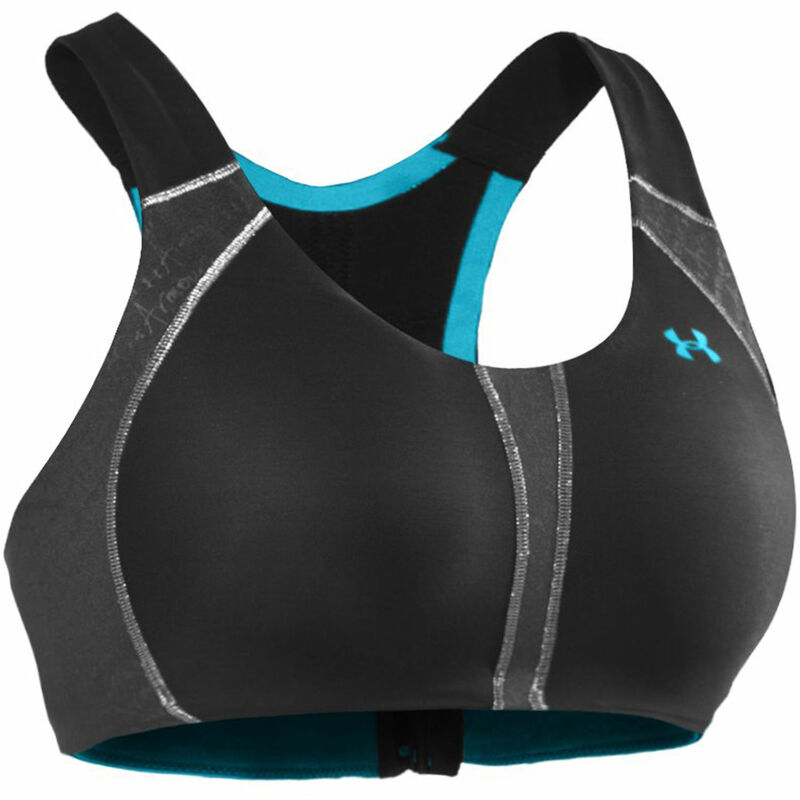 I have tried countless sports bra's to keep the girls where they need to be during a workout, and this is the only one I've found to do that. They have a newer style now then the one I got a few years back. 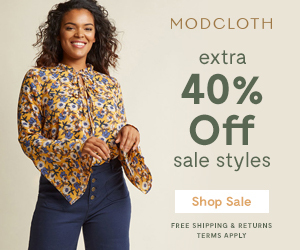 The colors and patterns are great and I'm definitely going to need to pick up another one! This bra is so comfortable and so breathable. They're measured by your actual bra size as well, so that helps a lot. I find it to be a pain when buying other brands of sports bras, I have to buy a smaller size because my band size is smaller, but then the cup size doesn't fit me. Seriously, what's that all about?! 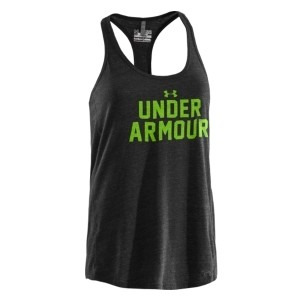 I'm also really in love with Under Armour tops. They are SO SOFT and comfortable. I'm not a fan of workout clothes that are skin tight, so I love these. They fit nice and loose on my body, but not loose enough that they would be showing all parts of me that I don't want to be showing when I'm doing a more aggressive workout. They also have a really nice selection of tank tops too, which I love. I really hate shopping for pants, especially workout pants. I have a short torso, so 95% of my workout bottoms tend to be too low in the back when I'm doing squats, lunges, or anything that requires me to bend over. SUPER AWESOME *sarcastic eye roll* These capri pants have saved my life. I even bought them in 3 different colors. The price is decent and the quality is great! I need my jams when I exercise. There are some songs on my playlist that just make me run faster! Sometimes the music they play at the gym is alright, other times it's absolutely horrid. 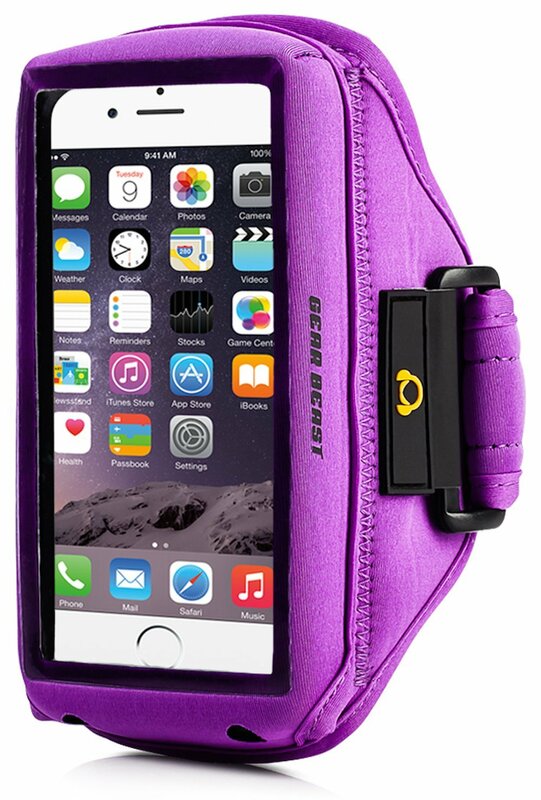 Before I would stash my phone in my bra (don't do that), but now I use this beauty. I bought it on amazon one day when I was in the mood to spend money and get mail, and it turned out to be an awesome purchase. The quality isn't top notch - you get what you pay for, but it does what I need it to do and it's purple. That's a double win in my book. For the work I do with free weights, going on the elliptical, and even doing sprints on the treadmill, I'll use this. 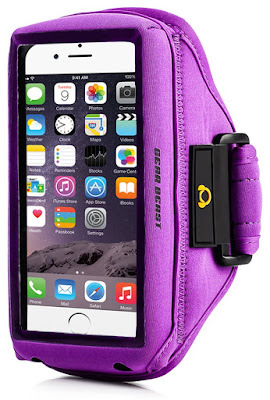 I'm not so sure if I'd use it if I'm doing lots of crazy vigorous exercises, but I also didn't use my other, more expensive, armband during those exercises either.